Sony has bolstered its lineup of first-party studios by acquiring U.K.-based Media Molecule, the award-winning developer of LittleBigPlanet. 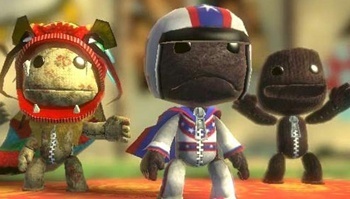 Released in 2008, LittleBigPlanet earned more than 90 industry awards, including several nods for Game of the Year and eight wins at the Academy of Interactive Arts and Sciences Interactive Achievement Awards, and boasts more than two million fan-created levels. Sony said the acquisition of the studio was "strategic move to continue to secure excellence in game development for current and future PlayStation platforms." "Since Media Molecule's inception, we've had a uniquely close relationship with SCE," said Media Molecule co-founder Alex Evans. "Over the years they have consistently shown their dedication to Creative Gaming and Media Molecule, not only through their support of the company, but their willingness to take risks and embrace our often unusual approach and ideas." With the addition of Media Molecule, Sony now has 15 first-party development studios aligned under the Sony Computer Entertainment Worldwide Studios flag, including Naughty Dog, Zipper Interactive, Guerrilla Games and Evolution Studios. The terms of the deal were not disclosed and Media Molecule's current project remains under wraps.